Photo by Doug Loyer So many chocolate items to choose from. A good problem to have. Photo by Doug Loyer Michelle Maxson coats a piece of banana in the chocolate fountain. Photo by Doug Loyer The EVE Chocolate Party had them coming back for more. Photo by Doug Loyer It seems like there were endless chocolate items at the EVE Chocolate Party. 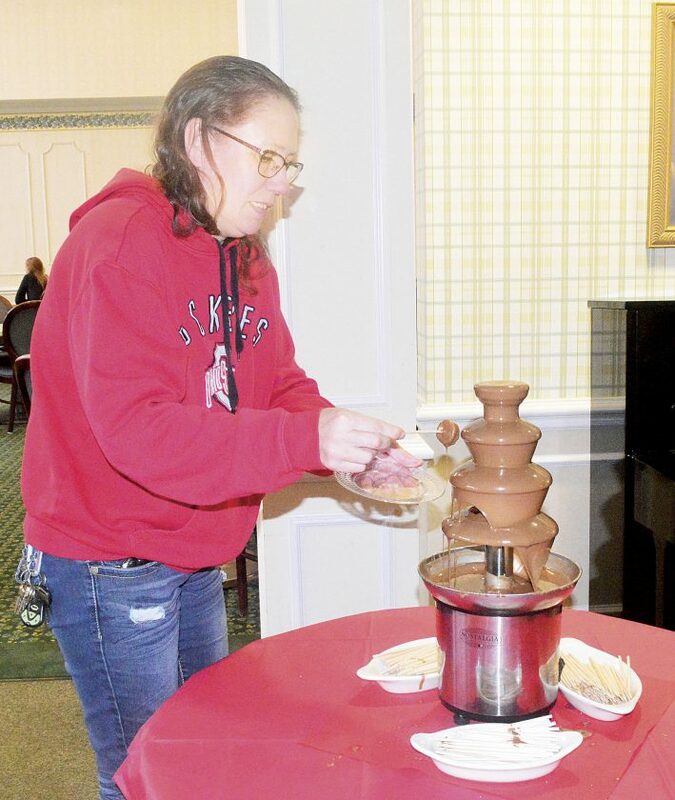 MARIETTA — EVE Inc. Sunday celebrated its Chocolate Party, the 30th year of the fundraiser. 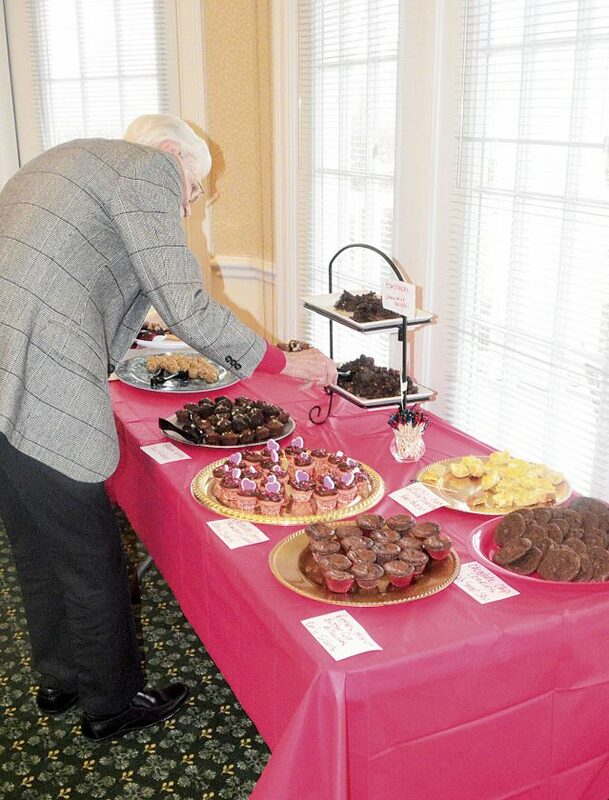 The organization celebrated with an endless supply of chocolate delicacies like cookies, brownies, cakes, candies, cupcakes, cheesecakes and a fountain flowing with chocolate. 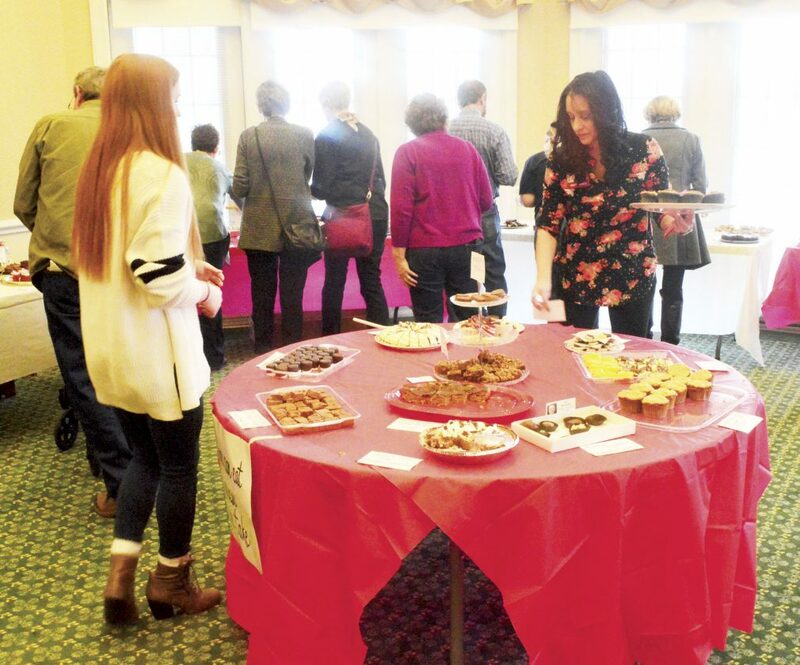 The long-running annual chocolate event continued to bring in droves of chocolate lovers and supporters of the work that EVE continues to do. About 250 people attended and the chocolate is donated by businesses and individuals. EVE is a private, non-profit organization that seeks to prevent family violence and sexual assault through education and intervention, while providing supportive services to survivors; thereby promoting a safe and healthy community and improving the quality of life. EVE is based in Washington County, but is the only shelter in Washington, Noble, Morgan and Monroe counties. Services are free. 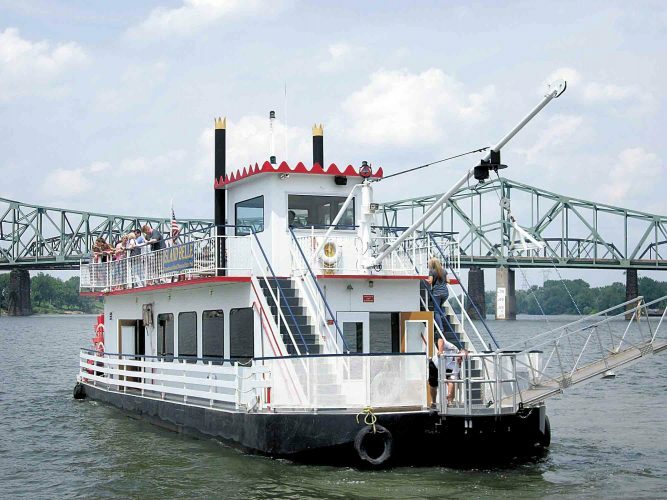 It is also a Mid-Ohio Valley United Way Agency. The Chocolate Party is a fundraiser for Eve, said Wells who has been associated with EVE for 20 years. The party helps get more grant money and also for utilities and supplies. Every year EVE provides shelter for about 150 women, men and children. “We want to let the community to know how much we appreciate them,” expressed Wells. “This community does not stick their head in the sand. They know that there is domestic violence here and it is an issue. The community really supports us with their time, talents or money. Supporters get behind us and have stuck with us. This is the third year that the event has been held at the Glenwood Community. 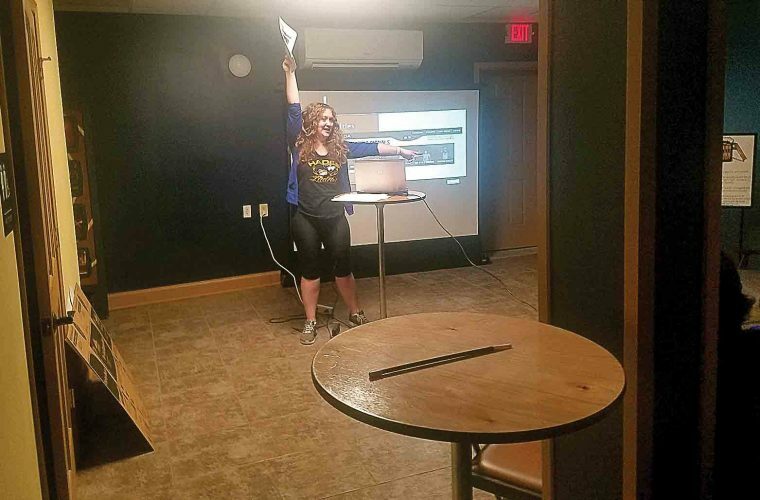 The chocolate party has grown over the years explained Glenwood Marketing Director Laura Miller. She said that Glenwood is a non-profit and they like to give back to the community and were happy to offer their beautiful space. Glenwood can easily accommodate the 250-300 people that this chocolate party typically brings in. Glenwood resident and advocate Bob Oliver enjoys living there and likes the event. Michelle Maxson of Fleming works at Third Street Deli that donated cheesecakes. 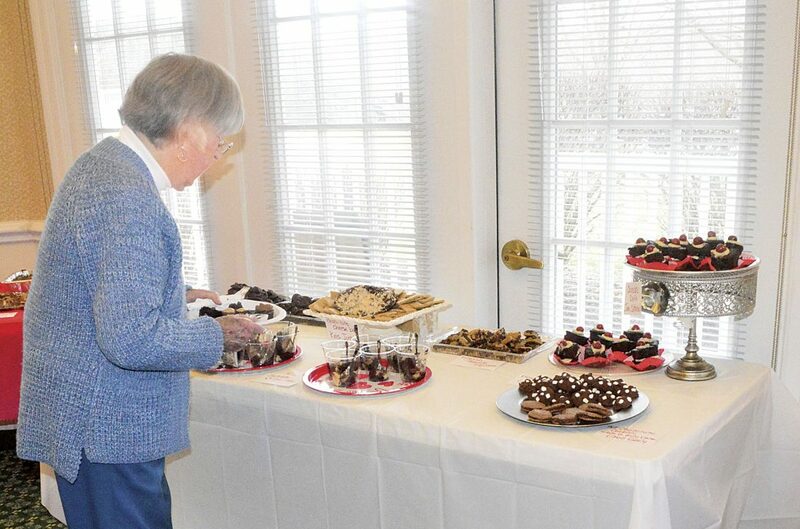 She enjoyed attending the Chocolate Party with her 6-year-old grandson Xyler Maxson. Maxson said Xyler liked the chocolate covered potato chips while she really liked the no-bake cookies. Wide-eyed Kennedy, 5, and her sister Alice, 2, of Marietta attended their first Chocolate Party with their mother Rebecca Schmehl. Schmehl said the real reason they came out was because the work that EVE does is very important and wanting to support them. EVE’s services include emergency shelter, a 24-hour toll-free hotline, prevention programs, sexual assault services, legal advocacy, child advocacy, transitional housing and aftercare, food pantry, transportation and clothing, childcare, individual and group counseling and education. EVE is one of only a few shelters equipped to shelter men as well as women. For more information about EVE, Incorporated visit EVEshelter.com.